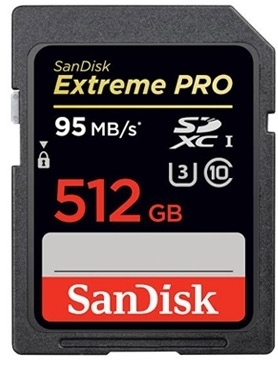 Global memory storage maker Sandisk has launched a 512GB SD card used in cameras, which has the ability to write data at 90MB per second making it useful for those shooting the high resolution 4K videos. 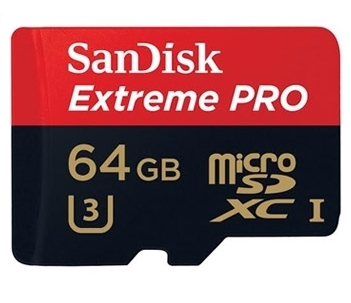 SanDisk also launched a 64GB micro-SD card, generally used in mobile phones, which can write data at the same 90MB per second and help users produce 4K content. The company also said that in the last 11 years, it has witnessed a 1,000-times increase in the storage in the same SD card, from 512MB to 512GB. SanDisk said it is working with Indian authorities to clamp down counterfeit products, which is leading to losses on revenue and brand equity. "Because our brand is so well-recognised and trusted, we pay the premium of lot of counterfeiting on it. These are fake products," SanDisk country manager Rajesh Gupta told on the sidelines of a company event here. When asked about the revenue losses because of such counterfeiting, Gupta said, "Oh yes, (it is) huge. That is an impact", but also added that this also leads to loss of reputation for the company as fake products do not last. The company has been raiding such market places and streets along with the police where it finds such counterfeit products being sold, Gupta said, adding that in Mumbai it raided a street outside the iconic CST railway station twice along with Government Railway Police in the last six months. Apart from the raids, the company has also notified the Customs Department giving names of the four companies who are authorised to import Sandisk products, so that action against the rest becomes easier. It can be noted that with the spurt in smartphones and increased usage of digital cameras, the demand for memory sticks has increased substantially in the country and hence, there is the proliferation of such fakes on the streets, which are available at a tenth of the cost of the original products. Gupta hinted that sale of some scrap material by the company may have a role to play in this. "There are certain pieces of flash memory, which also comes out of our manufacturing, that we scrap because we feel it is not a sustainable flash," he said. Apart from raiding, Gupta said the company is also working on building awareness through the social media and conducting programmes for genuine retailers.